Mortgage rates for San Antonio, Texas on Lender411 for 30-year fixed-rate mortgages are at 4.38%. That increased from 4.25% to 4.38%. The 15-year fixed rates are now at 3.63%. The 5/1 ARM mortgage for San Antonio, Texas is now at 4.13%. 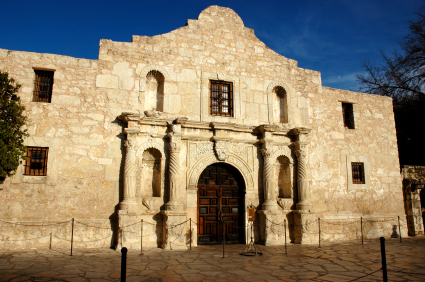 San Antonio is where people can visit the famous site The Alamo. Other things to see in San Antonio are the River Walk and the Tower of the Americas. San Antonio is the second most populous city in Texas. San Antonio has four distinct areas of specialization in its economy: national defense, tourism, financial services and health care. Down payment, loan-to-value (LTV): 3.5%, 96.5%. Credit score minimum: Typically 580 or greater. Debt-to-income (DTI): Typically 45-50% or less. Upfront mortgage insurance of 1.75% the base loan amount is required. Annual mortgage insurance premiums of varying percentage are also required, and paid monthly. New FHA borrowers, however, will receive annual MIP rates of half a percent lower than the original rate, typically 1.35%. San Antonio is home to many veterans, active duty military personnel and their families. If this description fits you and you're looking for more information about obtaining a mortgage through the Department of Veterans Affairs, visit Lender411's page for San Antonio VA loans. Lenders in: San Antonio, Texas.